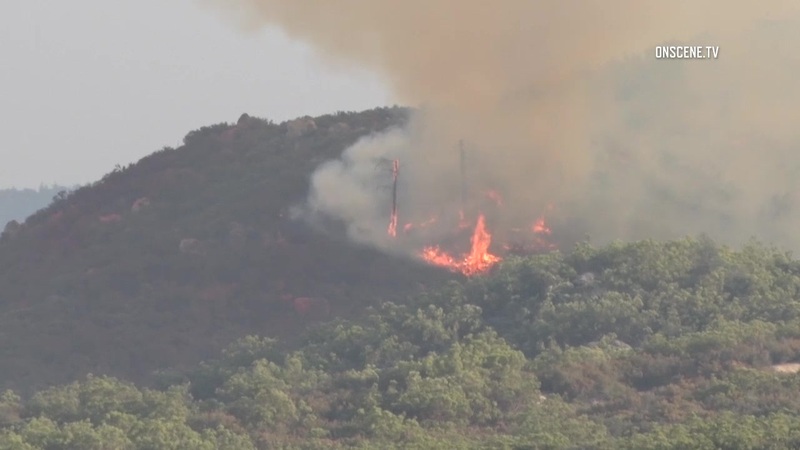 Firefighters, with the help of a morning rainstorm, had a wildfire that blackened 255 acres of brush in the far northeastern reaches of San Diego County about 60 percent contained Monday. The so-called Lost Fire, which ignited in the vicinity of state Route 79 and Lost Valley Road north of Warner Springs Saturday afternoon, prompted authorities to issue the evacuation warning for residents of nearby Chihuahua Valley Saturday night. Evacuations weren’t mandatory, but residents were asked to prepare in case mandatory evacuations were ordered. The evacuation warning was lifted Sunday evening, according to Cal Fire. A shelter at Olive Peirce Middle School in Ramona was subsequently closed, according to the county. Several small roads in the area were closed, including Chihuahua Valley Road at Lost Valley Road, according to the county Department of Public Works.